Welcome home to Reservoir Park in sought after Crescent Hill. This delightfully updated bungalow maintains the character and charm of the old, with the conveniences of the new and offers a total of 1941 Sq. Ft of total living space. Nestled on a beautiful street with a tree and grass lined center public island for all to enjoy. You are going to love the inviting covered front porch which will greet your guests and makes for a peaceful place to sit outside in the summer and enjoy the beautiful boulevard. Open the glass pained front door with sidelights to find the beautiful formal living and dining rooms with grey painted walls and oak hardwood flooring. Behind the dining room is the fully equipped kitchen with maple cabinetry, eat-in dining area, hardwood flooring and all recently updated stainless-steel appliances. Easy access from the kitchen out to the oversized deck and patio for all your outdoor entertaining. The first-floor front bedroom is painted in a calming green color and has new oak flooring to match the rest of the main living area. The other first floor bedroom is vaulted with 2 closets and a delightful window seat, currently being used as a family room. The full bath on this floor offers a tub/shower, beautiful vanity, tile flooring and linen closets. Up the open staircase to the beautiful master ensuite, with office area, walk-in closet w/ built in bureau, vaulted ceiling and ceiling fan, and its own private full bathroom. Partially finished basement includes a laundry room with new laminate flooring, huge family room with new carpet (12/2018), small toy room, and unfinished storage/utility area with tidy built-in storage shelving. New Electrical Panel, 2018. New A/C, 2016. Water Heater, 2015. Waterpoofed basement with lifetime transferable warranty, 2015. Average LG&E over last 12 months: $145/month. Off-street parking for at least two with alley access. 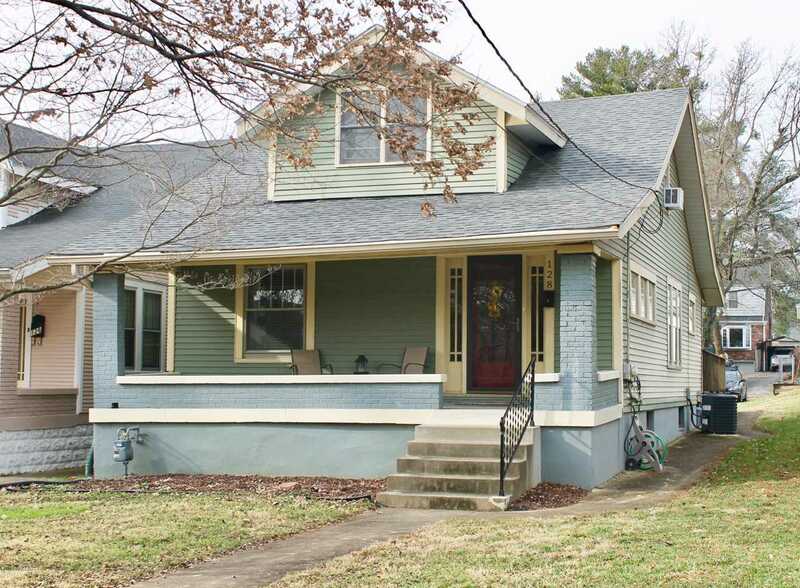 Gorgeous, neighborhood setting convenient to Saint Matthews, Downtown, Interstates, Dining, Shopping, and more. SchoolsClick map icons below to view information for schools near 128 Blackburn Ave Louisville, KY 40206.